- people from my country. - places from my country. - culture ( food ) . - using tech to teach talented . When talking about T.V stations in the Arab world, it is so hard to decide which one to talk about, but we found that we should focus on the most popular T.V station, also it was the first Arab satellite channel, which is MBC .when talking about MBC group we should talk about the person who worked to build this station, with his creativity, very hard work & understanding things around. Our talk will be about Sheikh Waleed al ibrahim, Born and raised in the Kingdom of Saudi Arabia, Al Ibrahim completed his higher education in America and returned to the Middle East to establish ARA Productions and Television Studios in 1986 at nearly the age 24 with his dream to build a satellite channel . In 1991, at age 31 & from London, he started his journey, ofcourse there were many difficulties, but in the end he was able to achieve what he aimed to. He started with another person, and then continued alone. He seeks to keep MBC ahead of the pack as usual. Today, MBC Group stands as the largest media group in the Middle East, reaching more than 75 million Arab viewers and listeners across the world. Many things can be said about this person, often cited as the man who changed the face of Arab media, but this is how we introduced him in few words to the circle. King Hussein bin Talal, the father of modern Jordan, He was born in Amman on November 14, 1935, to Prince Talal bin Abdullah and Princess Zein al-Sharaf bint Jamil. King Hussein is survived by two brothers, Prince Muhammad and Prince El Hassan, and one sister, Princess Basma. After completing his elementary education in Amman, His Majesty attended Victoria College in Alexandria, Egypt, and Harrow School in England. He later received his military education at the Royal Military Academy Sandhurst in England. Early in young Hussein’s life, and on July 20, 1951, his grandfather King Abdullah was martyred at al-Aqsa mosque in al-Quds ( Jerusalem). Hussein was there, with his grandfather, as they went regularly to perform Friday prayers. 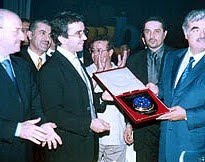 A medal King Abdullah had recently given the young Prince Hussein, and which he wore after his grandfather’s insistence, saved Hussein from the assassin’s bullet. On September 6, 1951, King Abdullah’s eldest son, King Talal, assumed the throne. He was soon followed by his eldest son, Hussein, who was proclaimed King of the Hashemite Kingdom of Jordan on August 11, 1952. A Regency Council was appointed until King Hussein’s formal accession to the throne on May 2, 1953, when he assumed his constitutional powers after reaching the age of eighteen, according to the Islamic calendar. On the human level, the numbers speak for King Hussein’s achievements. While in 1950, water, sanitation and electricity were available to only 10% of Jordanians, today these reach 99% of the population. In 1960 only 33% of Jordanians were literate, while by 1996, this number had climbed to 85.5%. In 1961, the average Jordanian received a daily intake of 2198 calories, and by 1992, this figure had increased by 37.5% to reach 3022 calories. UNICEF statistics show that between 1981 and 1991, Jordan achieved the world’s fastest annual rate of decline in infant mortality -from 70 deaths per 1000 births in 1981 to 37 per 1000 in 1991, a fall of over 47%. King Hussein always believed that Jordan’s people are its biggest asset, and throughout his reign he encouraged all -including the less fortunate, the disabled and the orphaned- to achieve more for themselves and their country. King Hussein also struggled throughout his 47-year reign to promote peace in the Middle East. After the 1967 Arab-Israeli war, he was instrumental in drafting UNSC Resolution 242, which calls on Israel to withdraw from all the Arab lands it occupied in the 1967 war in exchange for peace. This resolution has served as the benchmark for all subsequent peace negotiations. In 1991, King Hussein played a pivotal role in convening the Madrid Peace Conference, and providing an "umbrella" for Palestinians to negotiate their future as part of a joint Jordanian-Palestinian delegation. The 1994 Peace Treaty between Jordan and Israel is a major step toward achieving a just, comprehensive and lasting peace in the Middle East. While working towards Arab-Israeli peace, King Hussein also worked to resolve disputes between Arab states. During the 1990-91 Gulf Crisis, he exerted vigorous efforts to peacefully effect an Iraqi withdrawal and restore the sovereignty of Kuwait. 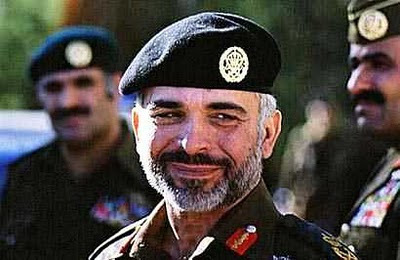 King Hussein always persevered in his pursuit of genuine Arab reconciliation, wherever a conflict arose between neighbors or within a country, such as his mediation in the Yemeni civil war. Furthermore, in almost every speech or forum His Majesty called for international humanitarian aid to relieve the people of Iraq from their daily suffering. King Hussein’s commitment to democracy, civil liberties and human rights has helped pave the way in making Jordan a model state for the region. The kingdom is internationally recognized as having the most exemplary human rights record in the Middle East, while recent reforms have allowed Jordan to resume its irreversible drive to democratization. In 1990 King Hussein appointed a royal commission representing the entire spectrum of Jordanian political thought to draft a national charter. Today the National Charter, along with the Jordanian Constitution, serves as a guideline for democratic institutionalization and political pluralism in the country. In 1989, 1993 and 1997, Jordan held parliamentary elections which were accredited internationally as among the freest and fairest ever held in the Middle East. King Hussein married Queen Noor on June 15, 1978. They have two sons -Hamzah and Hashem- and two daughters -Iman and Raiyah. 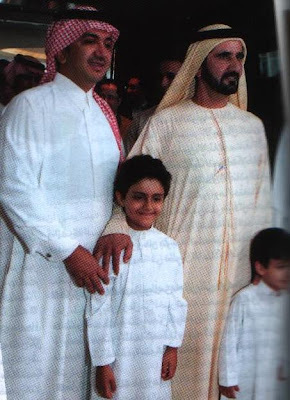 His Majesty is also survived by three sons -Abdullah, Faisal and Ali- and five daughters -Alia, Zein, Aisha, Haya and Abeer- from three previous marriages. Over the course of his life, His Majesty King Hussein was an avid sportsman. He was an accomplished aviator, motorcyclist and race-car driver who also enjoyed water sports, skiing and tennis. He was well-known to ham radio operators throughout the world as the friendly voice of "JY1". In his final years, King Hussein enjoyed surfing the Worldwide Web and developed a strong appreciation for the power of the Internet as a force for progress and understanding. King Hussein's directive to provide Internet access for every Jordanian school highlights yet another aspect of his enduring legacy. At the end of July 1998 Hussein made public a letter to his brother, Crown Prince Hassan, divulging that his doctors at the Mayo Clinic thought he had lymphatic cancer. By the beginning of August they had confirmed it. Hussein's lymphoma was of a type that responded to chemotherapy, which the King had already begun and his physicians were optimistic he could be cured. Speaking on Jordanian television via satellite, Hussein told his people, "Rest assured, I am not over and done with." Nevertheless, he looked fragile and pale. It was the 62-year-old monarch's second bout with cancer; he lost a kidney to the disease in 1992. Prime minister of Jordan (1962 - 1963, 1965 - 1967, 1970 - 1971). 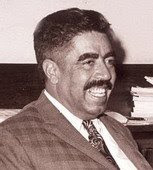 Wasfi al-Tall was born in Irbid, in northern Jordan. After being educated at the American University of Beirut, he served as an officer in Britain's army (1942 - 1945), then joined Jordan's civil service, rising to the rank of ambassador to Iraq (1961 - 1962). 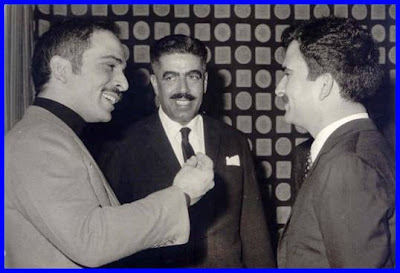 Tall was expelled from Baghdad for alleged subversive activities against the regime of Abd al-Karim Qasim; he was also channeling funds to the anti-Nasser Syrian Social Nationalist party in Lebanon. Tall formed his first cabinet in January 1962 and embarked on an efficiency campaign in the civil service and attempted to promote economic development. He also launched a policy designed to show that Jordan was the true repository of Palestinian aspirations; it was a failure. A Jordan - Saudi Arabia summit in August 1962 resulted in an agreement to coordinate foreign policy. When a coup took place in Yemen in October 1962, resulting in the proclamation of the Yemen Arab Republic, Jordan and Saudi Arabia backed the insurgents under Imam al-Badr. In November 1962, Tall supervised parliamentary elections in which political parties were banned. 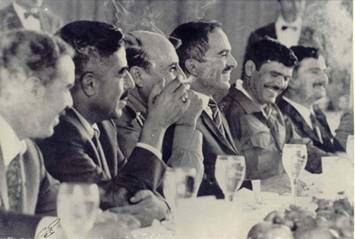 coups in Baghdad in February 1963 and in Damascus in March 1963 led Iraq and Syria to launch unity talks with Egypt. A shift in policy was required, so Tall resigned at the end of March. In February 1965, Tall began his second term as prime minister. He helped King Hussein ibn Talal reactivate the entente with Saudi Arabia, and on 9 August 1965, a treaty was signed delimiting borders between the two countries. Jordan joined an alliance of Islamic states organized by Saudi Arabia and directed against Egypt, Syria, and Iraq. Al-Fatah raids into Israel began. Under pressure from the Arab League, Jordan agreed to set up "summer camps for military training and moral guidance" for Palestinian recruits. In June 1966, King Hussein said there could be no cooperation with the Palestine Liberation Organization (PLO), and Tall prevented elections for the PLO National Council. Tall closed the PLO office in Amman and expelled Ahmad Shuqayri, head of the PLO. In retaliation for an operation by al-Fatah guerrillas supported by Syria, Israel launched a raid against Jordan, demolishing the village of Sammu on 13 November 1966. Residents of the West Bank and refugee camps hated Tall because of his disbanding of the National Guard, which had been stationed in frontier villages. 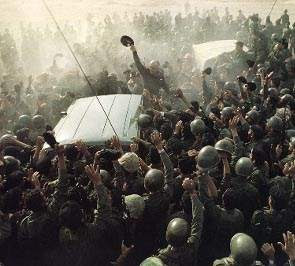 Under the press law of 1 February 1967, instigated by Tall, all existing papers and periodicals were closed down, and newly licensed publications had to have 25 percent government ownership. Tall resigned in March 1967 and was appointed chief of the royal court, in which position he tried unsuccessfully to keep Jordan out of the Arab - Israel War of 1967. Tall point of view was true, cause being in the 1967 war was the reason to lose the west bank. Tall began his third term as prime minister on 26 September 1970. The following day, King Hussein and PLO chairman Yasir Arafat signed an agreement in Cairo that called for the withdrawal of Palestinian guerrillas from the cities but allowed them to continue the battle against Israel from the countryside. Tall and the military, however, devised a plan to drive the guerrillas out of Amman, Irbid, Jarash, and Ajlun. It was all over by 18 June 1971. Jordanians agreed what he did. In revenge, during a visit to Cairo in September 1971, Tall was assassinated by the Black September Group. This is another story. 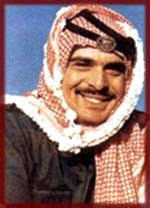 He is the son of King Talal and Queen Zein al-Sharaf. 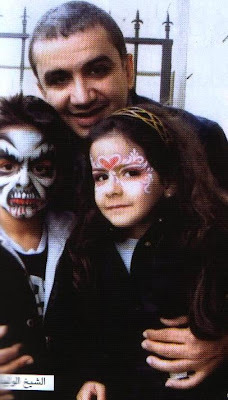 He is the brother of the late King Hussein, Crown Prince from 1965 to 1999 and is uncle to the present King Abdullah II of Jordan. In 1968, Prince Hassan married Sarvath Ikramullah, daughter of Pakistani politician Shaista Suhrawardy Ikramullah. Prince Hassan was educated first in Amman. He then attended Summer Fields School, then Harrow School in England as well as Christ Church, Oxford University, where he received a BA Hons in Oriental Studies followed by an MA. Prince Hassan is fluent in Arabic, English, French and German. He has a working knowledge of Turkish and Spanish, and studied Hebrew in university. In 2009 he joined the project "Soldiers of Peace", a movie against all wars and for a global peace. The following includes some of the organizations that Prince Hassan belongs to and/or founded. Post-War Reconstruction and Development Unit (PRDU), University of York. 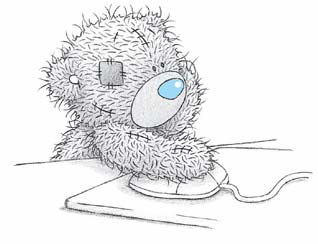 at the link below you can download a file about using technology in teaching with lot of info ,it's a PPS ...so copy the link & paste it in the link bar to download ..